GABC is supported by a variety of German companies with branches in the US, new companies in the US started by Germans, American companies doing business in Germany or providing service to Germans in the US, and companies in Germany doing trans-Atlantic business. 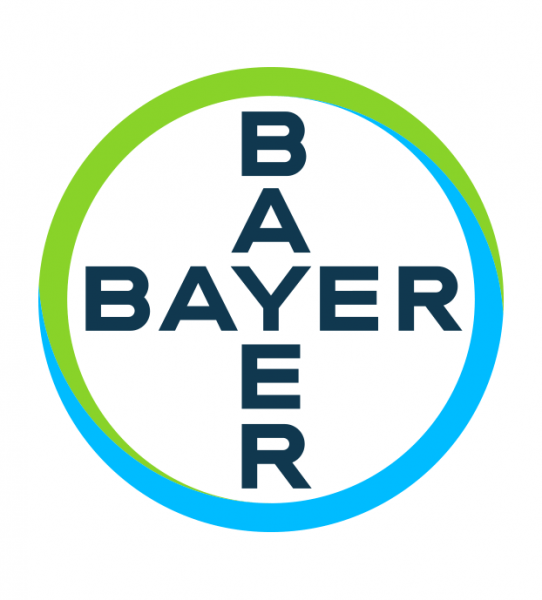 Bayer is a global enterprise with core competencies in the Life Science fields of health care and agriculture. Its products and services are designed to benefit people and improve their quality of life. At LifeHub Boston (located in Kendall Square, Cambridge), we believe that creating breakthrough solutions to global health challenges requires creative thinking and radical collaboration across industries and mindsets. Bruker’s high-performance scientific research instruments and high-value analytical solutions enable scientists to explore life and materials at molecular, cellular and microscopic levels. Bruker is leading the way in instruments for Mass Spectrometry and Separations, X-ray Diffraction and Elemental Analysis, Magnetic Resonance, Surface Analysis, Preclinical Imaging, Fluorescence Microscopy, Electroluminescence, and more. The German Consulate General promotes science and business cooperation between Germany and the six New England States Connecticut (except Fairfield County), Maine, Massachusetts, New Hampshire, Rhode Island, and Vermont. It also provides visa, passport and legal services and offers a wide spectrum of information, including details on traveling, studying information and events and news in Germany. Deloitte Financial Advisory Services LLP advises clients on managing business controversy and disputes, executing deals, and maintaining regulatory compliance. Founded in Hamburg, Germany in 1986, fischerAppelt is the Creative Content Group, one of Europe’s leading agency groups with dedicated agencies for public relations, design, advertising, digital communications, live marketing, film and strategic communications. We believe people’s attention is our most valuable asset. With that attention, we tell compelling stories and deliver captivating content – it’s why our work stands out in the noise. For more than 30 years, we have been driven by the ambition to produce content that moves people. Today, this passion is shared by more than 400 employees in nine global locations, including our North American location in New York City. Our transatlantic expertise enables us to develop and implement cross-market campaigns and seamlessly execute new market entries. The Goethe-Institut Boston is the contact point for anyone interested in German culture and for those who want to study or teach German. The language department offers a full range of language courses and official exams. The program department organizes a broad range of German events and projects in film and new media, arts, theatre and dance, music, literature, architecture and more. Events take place in our auditorium as well as at partner venues. GTC Law Group is a business law firm focused on mergers & acquisitions, intellectual property strategy & prosecution, and business & technology transactions for companies, institutions and individuals, inside and outside the United States. Konditor Meister is the premier European bakery for wedding cakes, holiday treats, pastries, tarts, birthday cakes, corporate cakes and more. Chef and owner Günther Mösinger brings a sweet taste of Europe to New England. Order your birthday or holiday cake now. Visit us at 32 Wood Rd, Braintree, MA. One of the world’s largest and most prestigious airlines, Lufthansa, serving 22 North American gateways, currently flies to 194 destinations in 76 countries. As an industry innovator, Lufthansa has long been committed to environmental care and sustainability, operating one of the most technologically-advanced and fuel-efficient fleets in the world. Known for premium services, Lufthansa continues to build new or upgrade existing lounge facilities across its worldwide network. As the life science business of Merck KGaA of Darmstadt, Germany, MilliporeSigma (formerly known as EMD Millipore) offers tools and technologies for customers in the research, development and production of biotechnology and pharmaceutical drug therapies. Comprised of three business areas — Bioscience, Lab Solutions, and Process Solutions — MilliporeSigma is a top tier supplier to the life science industry and serves as a strategic partner for scientists, engineers, and researchers. OSRAM SYLVANIA is a leader in lighting solutions and services, specializing in innovative design and energy saving technology. The company sells products for homes, businesses and vehicles under the brand names OSRAM, Traxon, ENCELIUM and SYLVANIA. Its portfolio covers the entire value chain of components, ranging from lamps, control units and optical semiconductors such as LEDs, to luminaires, light management systems and lighting solutions. SieMatic is a premium brand with a long tradition and has gained a worldwide reputation for excellent design, timeless elegance, and a high level of functionality. Exclusive SieMatic showrooms and quality retail specialists showcase the design principle behind the company’s three design themes – URBAN, PURE and CLASSIC – in constantly evolving reinterpretation in more than 60 countries worldwide. Since its founding in 1929, SieMatic has dedicated itself to the quest for perfection in the realization of individual interior design solutions. The company is currently headed by third-generation managing partner Ulrich W. Siekmann. Responsible, sustainable business has always been the company’s philosophy. The company’s products are manufactured in Germany under eco-friendly conditions. TÜV SÜD America Inc. is one of the largest testing, inspection and certification companies globally with sales of $2.2 billion. TÜV SÜD is dedicated to adding tangible economic value to our customers. That is why “Choose certainty. Add value.” is the core philosophy behind everything that we do. We partner our customers with early consultation and continuous guidance to make sustainable progress a reality. An internationally renowned architectural practice with offices in Stuttgart, Boston and Munich, Behnisch offers a comprehensive range of architectural design and planning services. Behnisch has completed award-winning projects in the academic, institutional, commercial and leisure sectors – including the Karl Miller Center at Portland State University, the John and Frances Angelos Law Center at the University of Baltimore, and the Genzyme Center in Cambridge, MA – all three achieving LEED Platinum status and multiple national and international awards. Clients partner with Cooley on transformative deals, complex IP and regulatory matters and high-stakes litigation, where innovation meets the law. Cooley has 850 lawyers across 12 offices in the United States, China and Europe, 275 partners in a single-tier partnership, and 1800 employees worldwide. Named one of Fortune’s “100 Best Companies to Work For”, Cooley’s 2014 revenue grew by 19% to $802 million. With preeminent tech, life sciences, venture capital and fund formation practices, Cooley is recognized as an Elite “Top-25 Innovative Law Firm” by the Financial Times. Established in 1930 and headquartered in Kempten, Germany, DACHSER is a global leader in the field of freight forwarding and system logistics. The DACHSER business model comprises transport logistics, warehousing and customer-specific services in three business divisions: DACHSER European Logistics, DACHSER Food-Logistics and DACHSER Air & Sea Logistics. The offering is rounded out by services that span across business divisions, such as DACHSER Contract Logistics and Consulting, as well as industry-specific solutions for the chemical industry and the DIY sector. Founded in 1914, the retirement village and senior care home of Deutsches Altenheim was created to offer quality senior care for elders. Through the continued generosity of supporters, Deutsches Altenheim remains a pillar of the Greater Boston community and continues to offer superior senior care in a trusting and experienced environment. Today, Deutsches Altenheim offers our residents long term care, post-acute rehabilitation and outpatient rehabilitation, Alzheimer’s care, adult day health services and assisted living opportunities. Dräger is an international leader in the fields of medical and safety technology. Founded in Lübeck in 1889, Dräger has grown into a worldwide, DAX-listed enterprise in its fifth generation as a family-run business. Our long-term success is predicated on a value-oriented corporate culture with four central strengths: close collaboration with our customers, the expertise of our employees, continuous innovation and outstanding quality. Evotec is a drug discovery alliance and development partnership company focused on rapidly progressing innovative product approaches with leading pharmaceutical and biotechnology companies, academics, patient advocacy groups and venture capitalists. Operating worldwide, more than 2,400 employees provide the highest quality stand-alone and integrated drug discovery and development solutions. Evotec covers all activities from target-to-clinic to meet the industry’s need for innovation and efficiency in drug discovery and development (EVT Execute). Furnished Quarters is the largest provider of fully furnished and serviced apartments here in the Greater Boston Area as well as NYC, CT, NJ, White Plains and across the United States. Furnished Quarters has a relationship with the Consulate for the Federal Republic of Germany here in Boston and assists them with their temporary housing needs. German International School Boston is an independent, coeducational day school serving students from age 3 to grade 12. In bilingual, cross-grade classrooms, dedicated teachers address each learner’s unique needs. In addition to its international focus, GISB’s urban location, commitment to affordability, dynamic after school program, and engaged family community make it a special place to learn and grow. The German Saturday School Boston of the Boylston Schul-Verein, has been around since 1874. Its primary purpose is to teach the German language, to introduce the cultures of German speaking countries to students age 4 to 17 and to meet the need in the community for excellent and affordable German language instruction. Goodwin is a leading Global 50 law firm. The firm combines in-depth legal knowledge with practical business experience to help clients maximize opportunities and manage risk. Our 1000+ lawyers across the United States, Europe and Asia excel at complex transactions, high-stakes litigations, and world-class advisory services in the technology, life sciences, financial, private equity and real estate industries. We partner with our clients to practice law with integrity, ingenuity, agility and ambition. Our Immigration law practice assists a variety of businesses in a variety of industries to recruit and retain the most talented foreign professionals. Whether you plan to study, work, or establish a permanent residence, our law office is ready to work tirelessly to achieve your immigration goals. Hamilton Brook Smith Reynolds, one of the leading law firms specializing in intellectual property law, helps clients protect and defend their ideas and inventions, turning them into assets that create value, fuel growth, and secure market positions. Herb Chambers purchased his first automobile dealership in 1985, and has grown his company into the largest automobile dealership group in New England. Today, The Herb Chambers Companies is comprised of 60 automotive dealerships throughout Massachusetts and Rhode Island, with 2,500 employees and annual sales of more than $2.7 billion. There are over 18,000 automobile dealers in America, and Herb Chambers is ranked amongst the ten largest privately-owned automotive groups in the nation. The Herb Chambers Companies has enjoyed a longstanding dedication to German Engineering, as a proud representative of Mercedes-Benz, BMW, Porsche and Audi for 30 years. This steadfast relationship with each manufacturer has remained an integral component of the organization’s success. Interfreight Corporation is a trusted international transportation and logistics company that provides customers with personalized service in all aspects of shipping world-wide. Whether it is a “door to door” solution, or supporting one phase of your shipment, Interfreight will take an experienced and cost-effective approach that satisfies your requirements. ITG is a full service logistics specialist in the fields of transport, warehousing and consignment sales combined with comprehensive value-added and supplementary services in all areas of modern procurement, contracting and distribution logistics. International transports via air freight, ocean freight and land transport on trucks as well as customs clearance make up the core activities of ITG FREIGHT FORWARDING division. The section ITG LOGISTICS + DISTRIBUTION is a partner for contract logistics, outsourcing and supply chain management. Since 1958 Karls Sausage Kitchen & European Market has been producing European style sausages, cold cuts and charcuterie in Saugus, MA. Originally founded by Karl Engel in 1958, the kitchen today continues to use the same old world recipes and the finest meats and spices to make authentic European sausages, cold cuts and smoked meats. Merck Ventures B.V., Amsterdam, The Netherlands, a subsidiary of Merck KGaA, Darmstadt, Germany, or M Ventures is the corporate venture arm of Merck KGaA, Darmstadt, Germany. Four dedicated investment teams are focusing on Healthcare, Life Science, Performance Materials, and New Businesses. With headquarters in Amsterdam, the Netherlands, and offices in the Boston, Darmstadt and Israel. nora systems, Inc., develops, produces and markets sustainable, resilient rubber floors under the brand name nora. Headquartered in Weinheim, Germany, nora has been shaping the development of rubber floor coverings for over 60 years as a leading manufacturer worldwide. Salem is the North American HQ. The linear and rotary position sensor manufacturers Novotechnik (Germany) and Contelec (Switzerland) are represented in North America by Novotechnik U.S. We are all part of the Siedle Group. Our precision sensors provide position feedback for industrial and mobile electronics applications, from valve control to Segway steering. Pinsent Masons LLP is an international law firm which specializes in the energy, infrastructure, financial services, real estate and advanced manufacturing and technology sectors. With over 2500 employees, Pinsent Masons has 24 offices in the United Kingdom, Falkland Islands and 10 other countries including Germany. SEMIKRON is a manufacturer of power electronic chips, modules, stacks and systems. Our power electronics is the key technology for efficient energy conversion in the markets of the future, such as wind, solar, electro-mobility, energy storage, drive technology and power supplies. Established in 1976, Taurus is a global real estate investment advisor, owner-operator, and value-add developer of residential and commercial properties. As an active deal participant in thirty markets around the world, Taurus leverages its local market proficiency and performance record to capitalize on select investment opportunities. Tulley Automotive Group was established in 1957 and includes Automotive Sales, Service, and Collision Center. Tulley imports BMW, VW, and Mazda Vehicle & parts. Founded in 1969 Westernacher Consulting operates worldwide with regionally present consultants in Europe, Asia and the Americas. Westernacher provides global Business and SAP Consulting, serving medium-to-large size enterprises striving for Innovation, Operational Excellence and profitable, sustainable growth. Windmoeller & Hoelscher is a leader in the design, manufacturing and distribution of flexographic and gravure printing presses, blown and cast film extrusion systems, multiwall equipment, plastic sack and bag making machines, as well as form-fill-seal machinery for the converting and packaging industry.